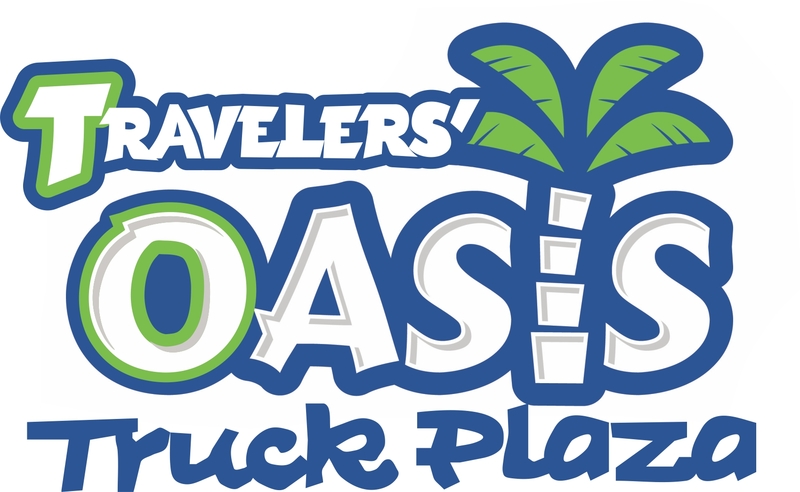 If you're on the road and passing through Eden, ID make sure to stop at Travelers' Oasis Truck Plaza. Along with new diesel pumps, DEF is now available on each pump. We also serve as a regular gas station, complete with a food court, shopping center and full service restaurant. Start earning rewards today at Travelers' Oasis Truck Plaza of Eden, ID, on everything you buy! America's Best Truck Stop. Am-Buck$ accepted. Travelers' Oasis wants to make sure our customers have the best products available, which is why we are installing DEF on each diesel pump. Stop by the Garden of Eden at Travelers' Oasis! Travelers' Oasis is a full service truck stop and fuel station with all of the latest amenities. Part of Ambest Travel Center, Travelers' Oasis offers Shell Fuel, has a full service restaurant and food court, and many other amenities. Our food court includes delicious food from Blimpie to Taco Time. If you're passing through Eden, ID, come and see us at the Garden of Eden at Travelers' Oasis Truck Plaza, exit 182 off 1-84!